Celebrating Mother's Day? Make Sure You Have The Date Right Many countries in the world celebrate Mother's Day on the second Sunday in May, but it's not the global norm. Turns out it has to do with the origins of the celebration, historical events and culture. Mother and daughter at a Woman's Day festival in Durbar Square, Kathmandu. On the day of the festival, people pay homage to their mothers and perform rituals in temples or by the river. Not every country in the world celebrates Mother's Day on the same day. If you're in the United States, you might be showering your mother with gifts on the second Sunday in May — but if you're in Thailand, that day doesn't come until August. Why are mothers celebrated on different days in different countries? The answer may lie in the fact that it is not a day celebrated like the International Women's Day, a global event with recognition by the United Nations. Mother's Day, in fact, has different meanings and origins in various cultures. Anna Jarvis wanted to honor mothers' sacrifices in raising their children. She fought to add the day to the national calendar, and by 1914, President Woodrow Wilson designated the second Sunday of May as Mother's Day. Many countries follow the United States, such as Germany, Australia, China and Turkey. Mexico also celebrates the day early in May, but on a fixed date: May 10. As this Washington Post article describes, it's a big day of celebrations for Mexicans. The Arab world — which includes Syria, Egypt, Lebanon and others — celebrates Mother's Day on March 21, coinciding with the beginning of the spring equinox. According to the American University in Cairo, an Egyptian journalist Mustafa Amin introduced the concept of Mother's Day to the country in 1943. The tradition then spread to neighboring countries in the region. A Mother's Day song by Lebanese singer Fairuz recommended by Alma Richeh, executive director of the Center for Arabic Culture in Boston. Alma Richeh, executive director for Center for Arabic Culture in Boston, says the day is a public holiday in many of those countries. "Usually many campaigns and charity events will take place and most of the time it's to raise awareness about women's role in society," Richeh says. "There will be special programs on TV ... in the Arab world there are many beautiful songs about Mother's Day from very popular singers." Some news sites say that Amin proposed the idea through an opinion article after meeting a widow whose children left her when they became successful. In Britain, Mothering Sunday, or Mother's Day, is celebrated on the fourth Sunday of Lent, which fell on March 6 this year. According to Britannica, the custom began in the Middle Ages when people who had moved away returned to visit their home parishes and their mothers on that day. In particular, it was a day when children who left home to work as domestic servants were given a day off. 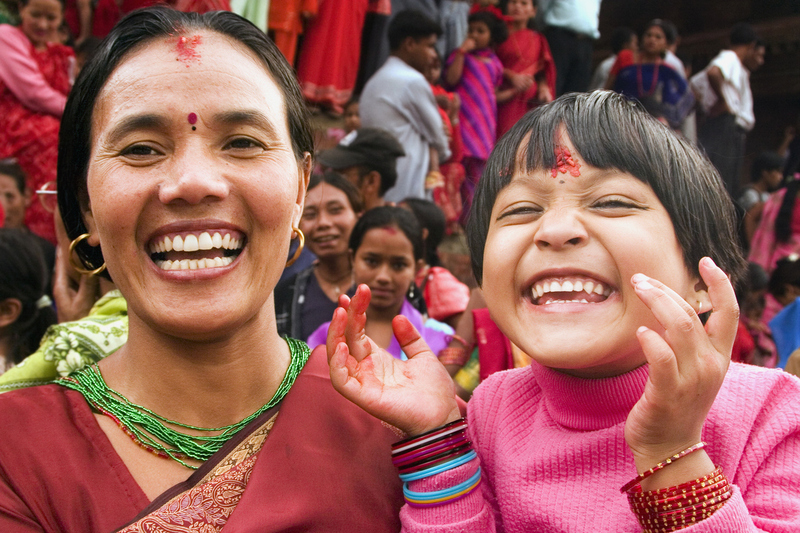 Also called Mata Tirtha Snan, Mother's Day in Nepal falls on the Nepali month of Baisakh, which usually occurs around late April to early May. This year, it was celebrated on May 6. Majority of Nepal's citizens are Hindu, and this day is celebrated through various rituals either performed at home, at a river or a holy place. The day was picked based on the story about a grieving man who saw his deceased mother's face in a pond on this day after offering prayers. Russia and several Eastern European countries such as Azerbaijan and Bulgaria celebrate Mother's Day on March 8, which is International Women's Day. In Russia, according to the book Historical Dictionary of the Russian Federation, the day is also called "Women's Day," celebrating maternity. "In Russia the Mother's Day is being overshadowed by the International Women's Day," says Iwona Sadowska, director of Polish studies at Georgetown University. She spent some time in Russia and also currently teaches the Russian language. "There were some attempts to have Mother's Day in Russia in November." Choosing this day might be associated with the socialist origins of International Women's Day. In some of the former Soviet countries, the occasion can still be associated with old communist celebrations, thus lending some controversy to it. Japan used to celebrate the day on March 6 to commemorate the birthday of Empress Kojun, but changed it to the second Sunday in May after World War II. An AFP video showing the celebration of Queen Sirikit's 83rd birthday in 2015, also known as Mother's Day in Thailand. Thailand still celebrates Mother's Day on the queen's birthday, which is Aug. 12. In Thai society, the royal family is widely respected. If you walk into a Thai restaurant anywhere in the world, you might find pictures of the Thai king and queen hanging on the wall. Kanjana Thepboriruk, an assistant professor of Thai studies at Northern Illinois University says the queen is seen as the mother of the country. The day is celebrated with firework displays and parades through the streets. Thepboriruk says the celebration for Father's Day — on the king's birthday — is as lavish. She says it's part of the country's culture of giving thanks. "I think as a culture we ... value the fact that we are not self made people," she says. "Traditionally we know that we're a product of someone and something and we all come from somewhere." Thepboriruk moved from Thailand to the United States when she was 10 years old. So which Mother's Day does she choose to celebrate? "My mom expects Mother's Day celebrations twice a year!" she says. Zhai Yun Tan is a digital news intern.